How do you keep up-to-date with all the mentions of you and your brand or competitors? And how do you keep tabs on the latest trends in your industry or niche? It’s impossible to monitor everything when there is so much happening online. But fortunately, there are some web monitoring tools that can help you keep updated. By selecting a few words and phrases, you can get the tools to do the hard work. They can listen and track your keywords across the web and then alert you to what they’ve found. 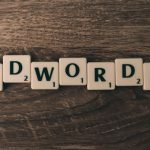 In this post, we’re going to take a look at Google’s free online tool for tracking keywords and phrases. And then we’ll take a look at some of the free and premium alternatives on the web. Google Alerts helps you track conversations and mentions that you may not be aware of. As your business grows, there are likely to be more and more mentions of you and your brand across various online channels. It’s challenging and time-consuming to be ‘listening and monitoring’ to every mention. Because you can’t be everywhere all the time. But the alerts don’t just have to be about you. Go to Google Alerts. It will suggest a few familiar topics you might like to track, e.g. Amazon or Apple, etc. Sign in if you have a Google account. If you don’t have one, it’s OK. You can enter an email address later. Enter the search terms you want to track separated by commas. For example, you could enter your name and your blog’s name. The more terms you add, the more precise the alert becomes. Daily or Weekly should be OK, depending on how many emails you want. Tailor this section according to your interests. If you’ve signed into your Google account, you can select the associated Gmail address or RSS. Otherwise, enter your preferred email address. 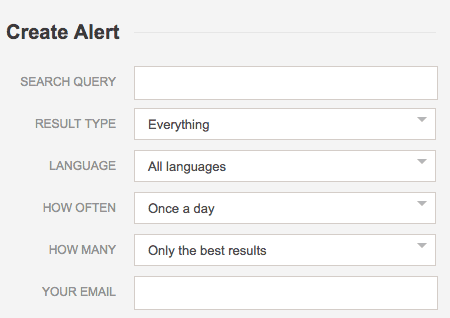 Google Alerts lets you create various alerts so you can pinpoint specific keywords for each one. If the results don’t quite match your expectations, then you can go back into the alert to edit and improve it. Google Alerts is very basic tool which is not perfect. That is the reason to use other tools along with it. 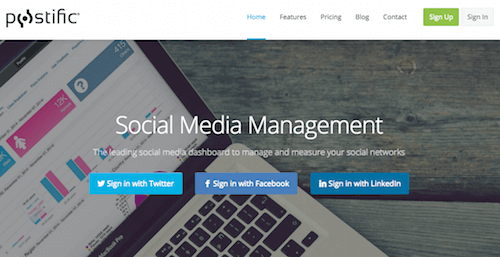 Buzzbundle is a social media management tool that can track your brand mentions. You can set up groups of keywords to track mentions of yourself, your company, products, and services. But it’s also great for finding your competitors and their keywords too. 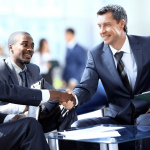 Discover where people are talking about you and join the conversations. Mention.com scans over 1 billion sources across social media, forums, blogs, and the web. You can track your brand, competitors and customers with your search criteria. You can run an online search or choose to receive a daily email of your mentions from the previous day. You can also export stats to PDF or CSV, to analyze and share the data. 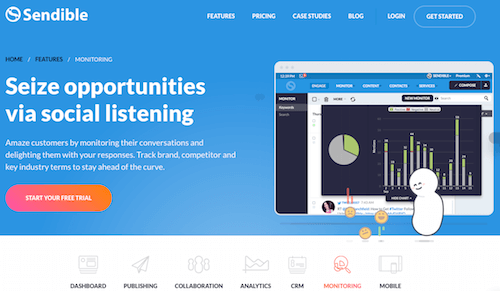 It’s the free tool from the more advanced Talkwalker monitoring and analytics platform. Talkwalker Alerts lets you monitor the web for your name, brand, competitors, events or any favorite topic. You enter your keyword in the search query. 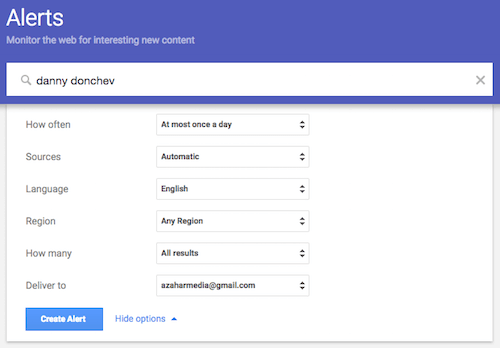 Then narrow down the search parameters from everything to news/blogs/discussions. And finally, decide on a daily or weekly email of all the results or only the best results. Results can also be directed to your RSS feed reader. Hootsuite is well-known for its social media management capabilities, but it also helps you monitor keywords and phrases too. 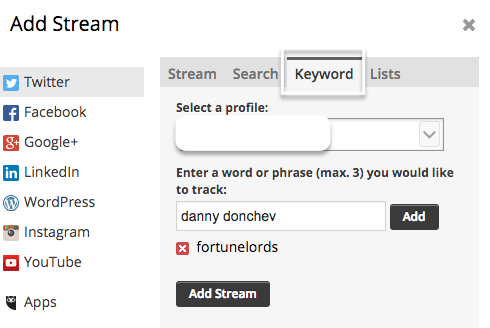 You can use Hootsuite to set up streams that let you track conversations and keywords. And you can also respond to the mentions directly from Hootsuite. Plus if you’re working in a team, you also have the option to assign the task of responding to someone else. Reputology is a review monitoring and management platform for businesses that need to track reviews for multiple locations. For example, restaurants, hospitals, auto dealers, hotels, retail stores, marketing agencies, consultants, etc. Reputology focuses on helping businesses improve their online reputation and customer experience. It tracks reviews from different sites across the web like Yelp, Google, Facebook, industry-specific review sites, online surveys, feedback forms. You can monitor everything your customers are saying about your organization, from one easy-to-use interface. Or, you can link the App to Hootsuite if you prefer to track in that dashboard. Awario.com monitors all corners of the web including social media. You can set up your search terms by using keywords that you wish to include and exclude, so only the relevant mentions are captured. Awario has its own analytics dashboard so you can track your progress, and is also available as a mobile app. Brand24 is a powerful social listening tool. 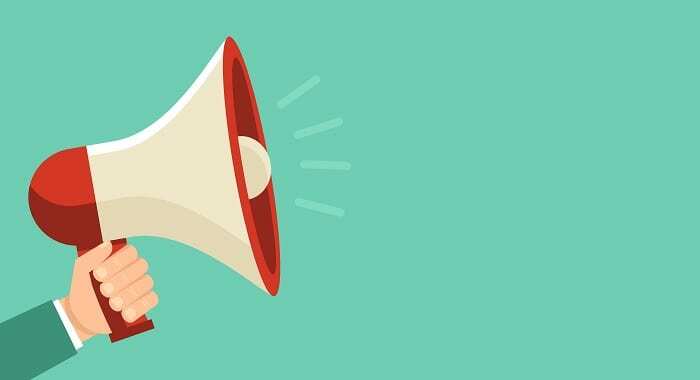 It claims that “it is the most effective method of monitoring your brand or product on the Internet.” And it also measures the buzz around your brand, product or keyword. The Mentions Feed lets you discover who is talking about your brand. You can respond to them directly from the app. If you’re getting a lot of mentions, then you can add filters, so you focus on the important mentions by source, sentiment, visits, etc. The Discussion Volume Chart highlights any sudden spikes in your mentions, e.g. if you had a potential problem with your service. You can create email alerts and dashboard notifications. 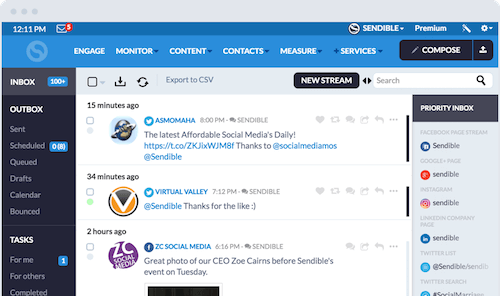 Sendible is a complete social media management platform. And like Hootsuite it has its own monitoring functionality. 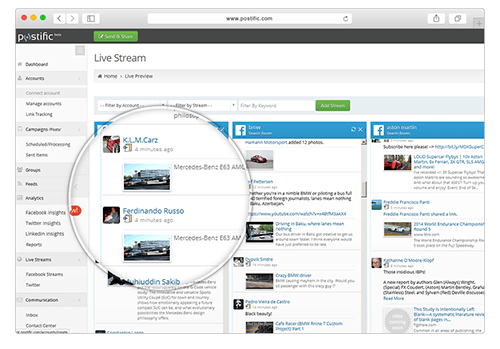 Sendible combines all your messages (from Facebook, Twitter, Instagram, YouTube, Google+ and others) into one stream. And then it places the important messages into the priority inbox to help you prioritize your social media engagement. You can monitor keywords to know what people are saying about your brand on social networks and blogs. 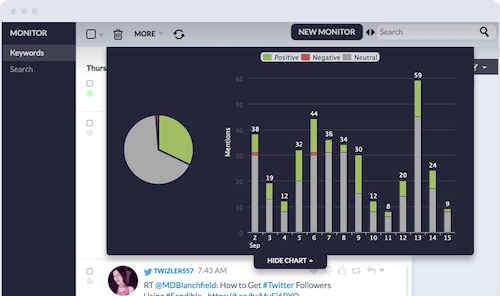 The results show positive, negative and neutral mentions so you can react to trends and opportunities. You can receive alerts via email, Slack or within your Sendible account whenever mentions match your criteria. 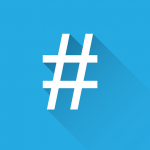 Plus you can also monitor relevant keywords, hashtags, and your competitors to stay updated on the latest industry trends. Postific is a social media management and marketing platform. BoardReader allows you to search multiple message boards simultaneously. Search engines often struggle to find and display information contained on the Web’s forums and message boards. 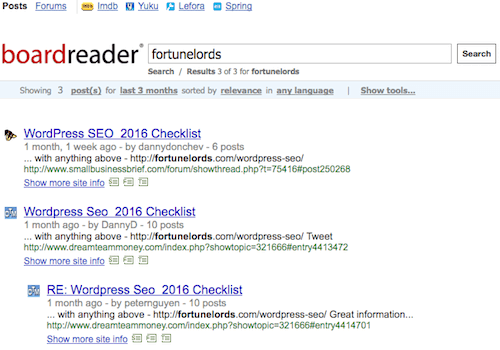 With BoardReader you can enter your search term and see if it appears on any forum. Icerocket is another manual search tool. When you enter your search term, it can find entries on Twitter and links to your blog. Anewstip is a media search, monitoring, and relationship management platform. Their enormous database helps entrepreneurs, PR professionals and marketers connect with relevant media influentials. 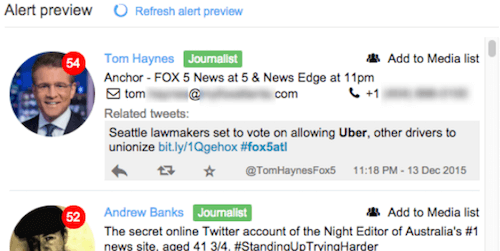 Anewstip Search lets you search for relevant media contacts by what they have written or tweeted. Anewstip Database indexes more than 200 million news articles and 1 billion tweets from more than 1 million media contacts. 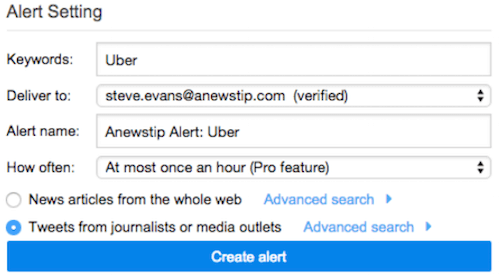 Anewstip Alerts lets you monitor news articles and tweets related to your brand, competitors, or any other keywords. Email alerts are delivered to your inbox whenever there are new results, so you can keep up with what’s happening and discover new media contacts. Once you’ve found relevant contacts, you can add them to your lists and then use the tool to send a pitch to the contacts. 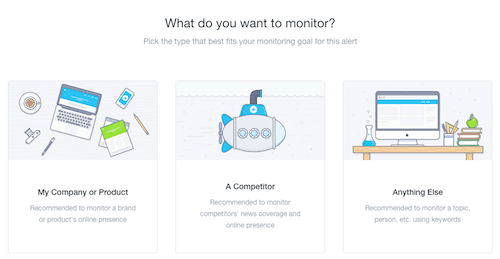 I’m sure you’ll agree there are plenty of ways to monitor the web and social media to track mentions of your chosen keywords. Many offer regular email notifications so that you can set aside some time each day to react and respond promptly. Whether you decide to stay with the free tools like Google Alerts or invest in a premium platform, there is something out there for you. 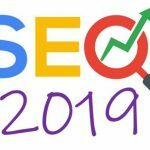 Danny Donchev has been doing SEO since 2004. 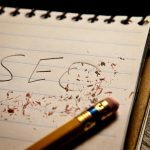 At first, SEO was his hobby, but soon enough it became his passion and profession. Thanks to his high-ranking sites he has been lucky enough to escape the rat race.